Santa Fe Trial Lawyer Solutions from Sid Childress, Esq. If you have been injured by the negligence or wrong-doing of others, are involved in a transaction gone wrong or some other problem about your property, business, or inheritance, your best protection against expensive, lengthy litigation is a trial attorney with significant experience in these matters. I have the confidence, experience, skill and financial resources to accept difficult cases where the stakes are high. Explore this website to learn more about the types of matters I focus on. 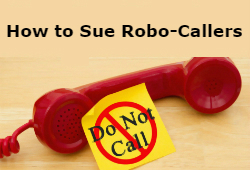 Fed up with Robo-Calls ? I’m “a Longhorn” (University of Texas at Austin – class of 1990). I finished law school at the University of Southern California in 1993. From 1993 to 2005 I was a very busy sole practitioner in Austin, Texas. I picked many juries during this time period in commercial, real estate, consumer law and personal injury cases. As Austin is a very wealthy community and I practiced law there during its “high-tech” boom of the late 90s and early 2000s, I also handled many divorces involving the division of high net-worth marital estates, including businesses, stock-options and intellectual property. 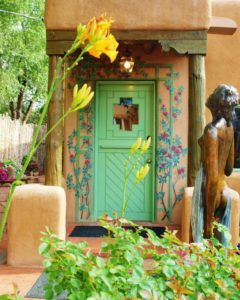 At this time I am a New Mexico attorney based in Santa Fe and Albuquerque. I provide proactive, ethical lawyering to solve tough legal problems for people and their businesses. Reckless driving is the operation of a motor vehicle with the willful or wanton disregard for the safety of others, and it is a serious crime. Reckless driving is irresponsible, dangerous and frequently results in serious injuries to innocent victims. If you or your loved one have been hurt by a reckless driver, you need the assistance of an experienced personal injury trial lawyer to help you recover the compensation you deserve. I will leave no stone unturned to collect the maximum amounts of money possible for you under the circumstances. I handle these cases on a “contingent fee” basis, which means I receive no compensation until I collect compensation for you or your loved ones. Call-Childress at 505-433-9823 to discuss what we can do for you.